The CW has had great success with its superhero shows which include Arrow, The Flash, Supergirl, and Legends of Tomorrow. 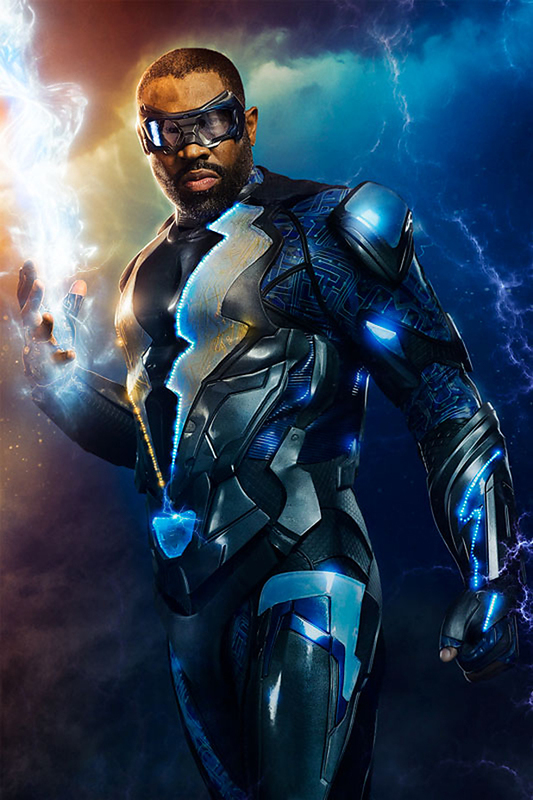 the network is now adding a new African American hero to its lineup and he's called Black Lighting! The CW has released the first photo of Cress Williams in costume as the titular hero in “Black Lightning,” the DC comic book drama pilot. Based on the comics of the same name, the series will follow Jefferson Pierce (Williams), who hung up the suit and his secret identity years ago. But with a daughter hell-bent on justice and a star student being recruited by a local gang, he’ll be pulled back into the fight as the wanted vigilante and DC legend — Black Lightning. The superhero’s suit is designed by Laura Jean Shannon. The husband-and-wife team of Mara Brock Akil and Salim Akil wrote the pilot, which comes from Warner Bros. TV and will be executive produced by the Akils along with Greg Berlanti and Sarah Schechter. Created by writer Tony Isabella and artist Trevor Von Eeden, Jefferson Pierce is one of the first major African American superheroes to appear in DC Comics. The character debuted in 1977 in a self-titled series that ran for 11 issues. Four other DC comic book adaptation series already exist on The CW, “Arrow,” “The Flash,” “Legends of Tomorrow” and “Supergirl,” all executive produced by Berlanti as well, though it’s unclear at this point if “Black Lightning” would join the so-called “Arrowverse” or exist in its own world.